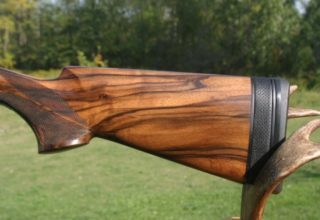 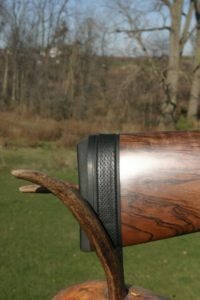 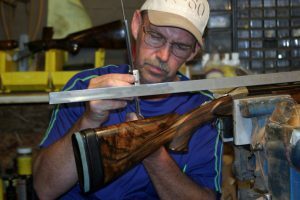 The final destination of custom fitting my Blaser is done..your expertise on making stocks is very evident every time I pick up my Blaser..totally satisfied with your quality workmanship. The final product matched the pattern stock Gil and I sent you perfect.. 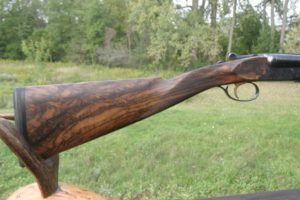 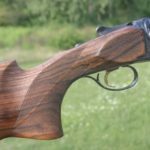 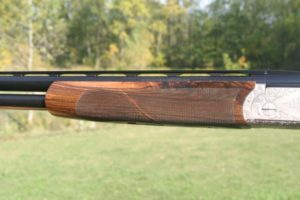 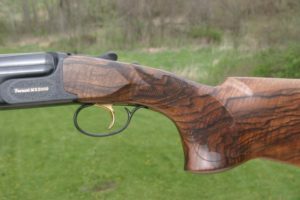 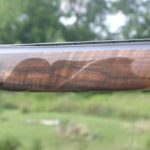 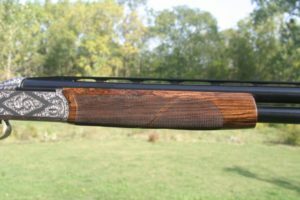 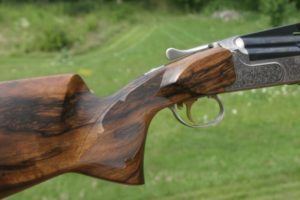 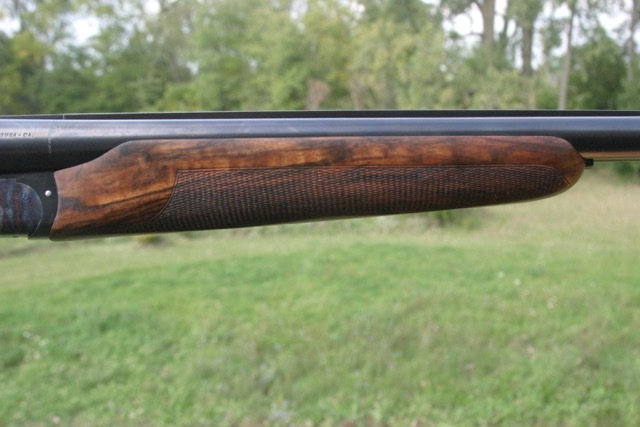 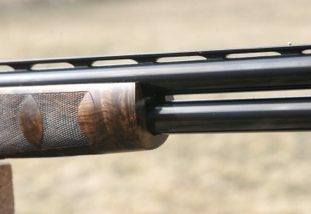 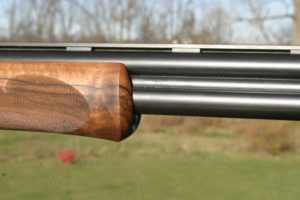 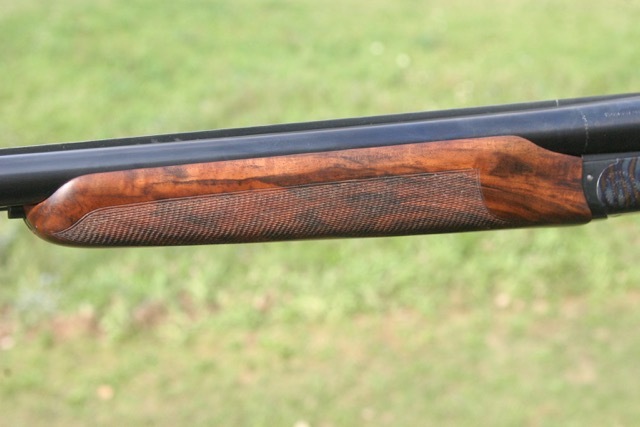 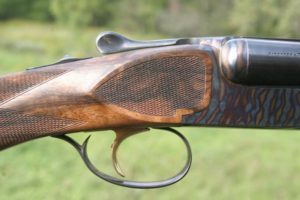 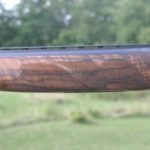 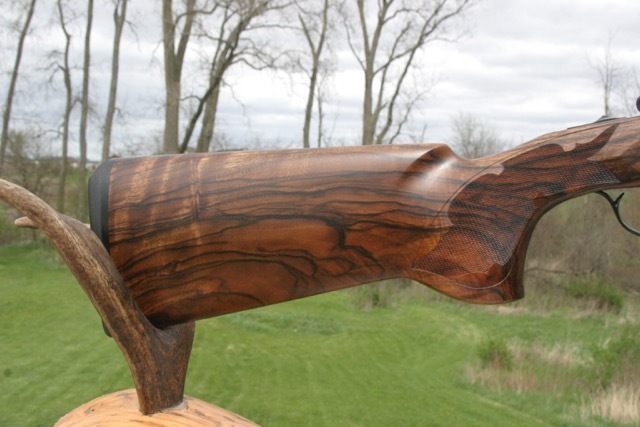 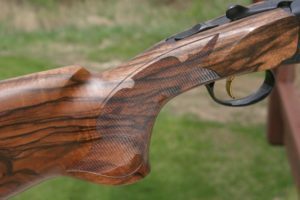 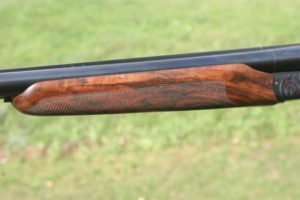 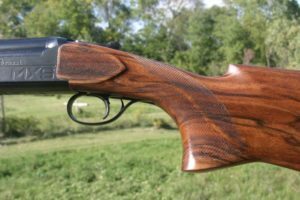 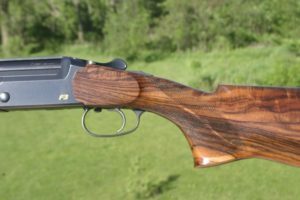 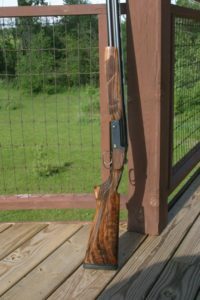 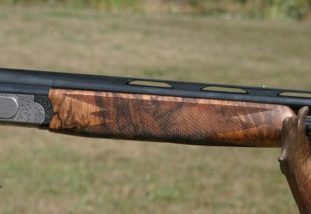 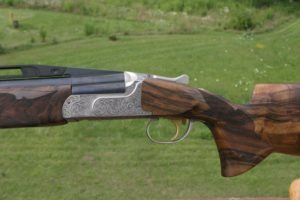 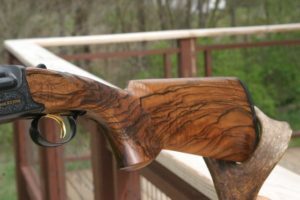 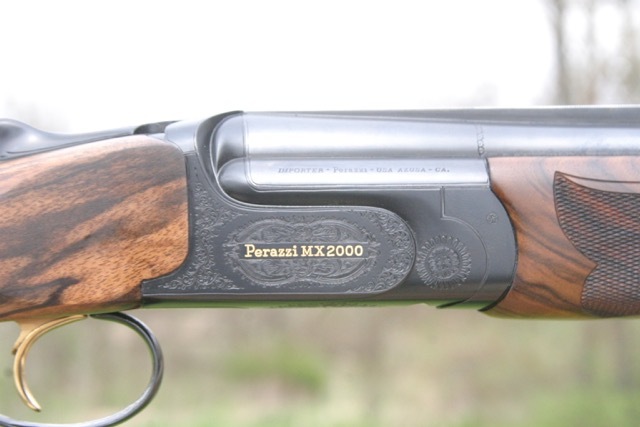 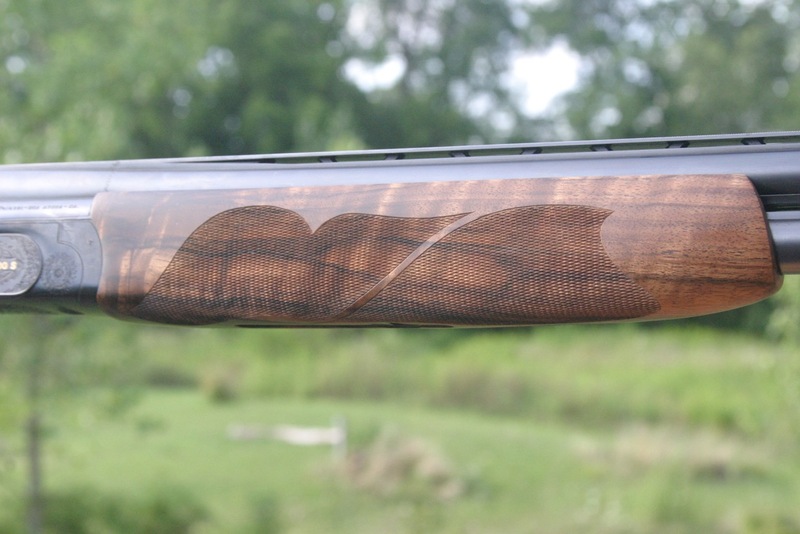 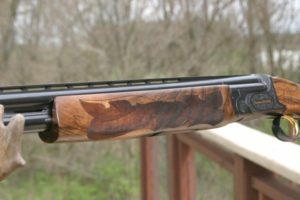 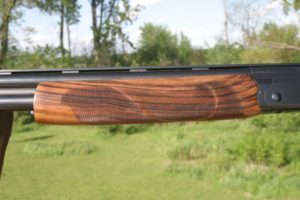 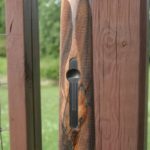 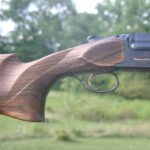 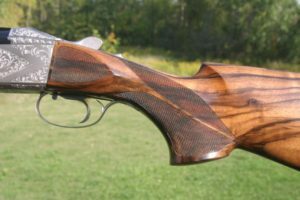 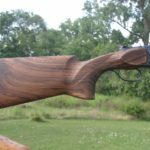 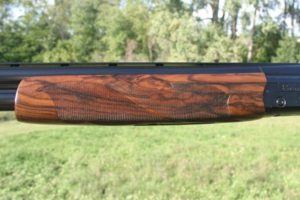 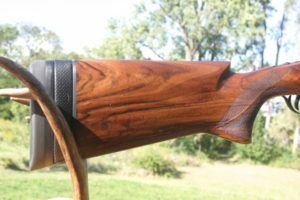 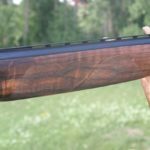 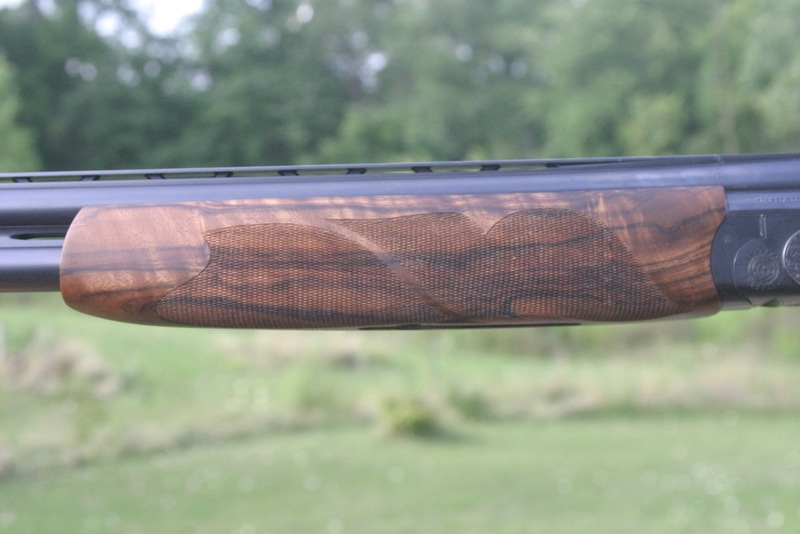 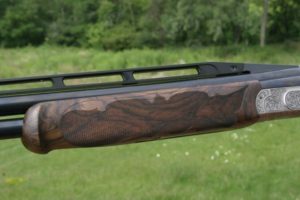 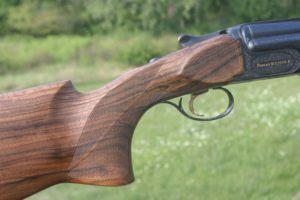 The one downside is constantly having to tell folks who built this work of art stock..
Pictures of Mr. Joe Trad’s perazzi 20 guage side by side shotgun. Turkish walnut stock, checkering is 26 lines per inch, waterlox/urethane finish. 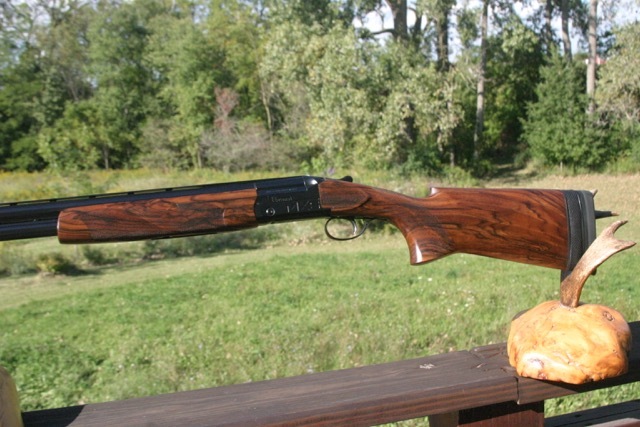 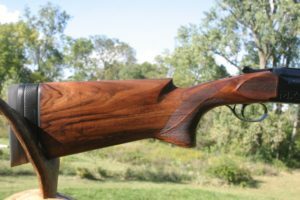 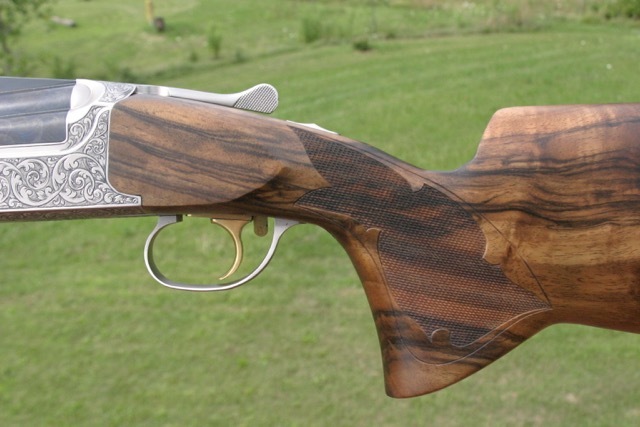 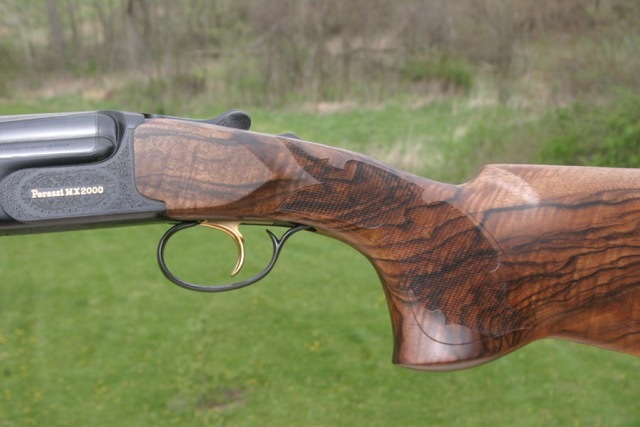 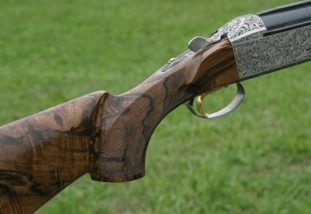 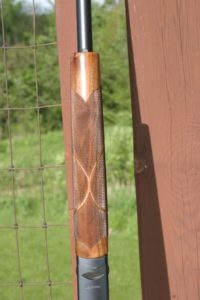 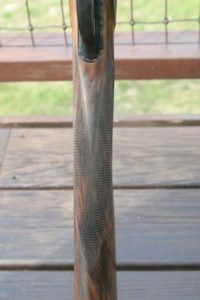 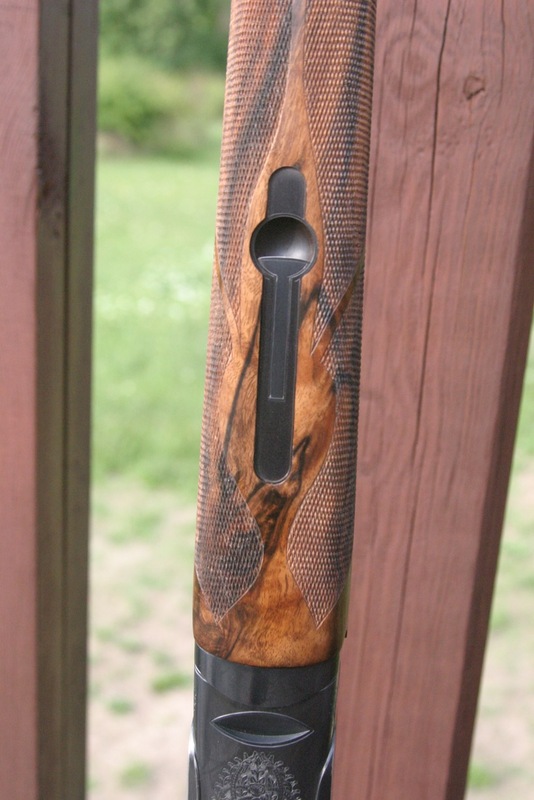 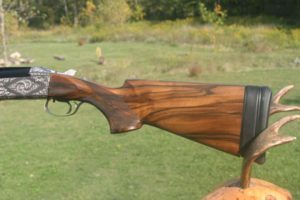 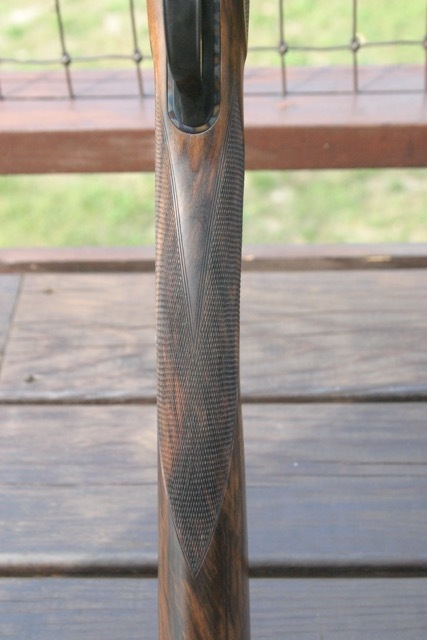 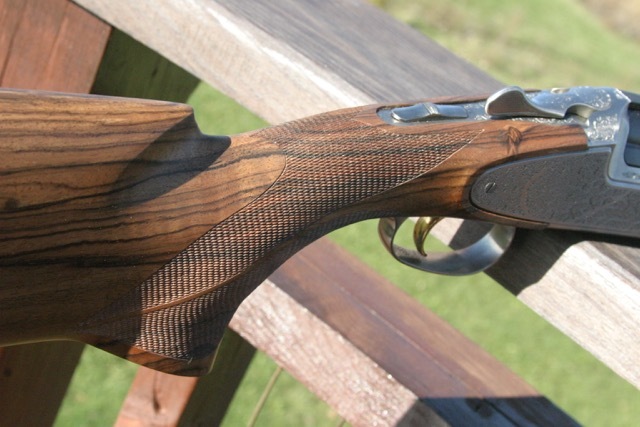 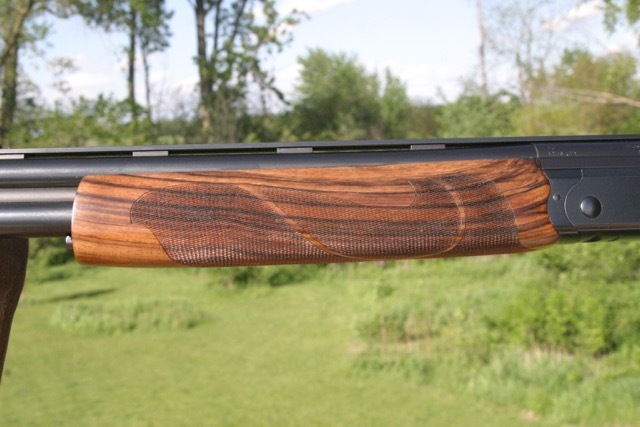 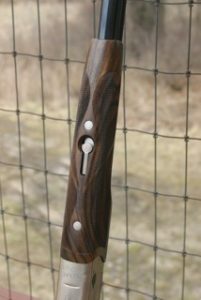 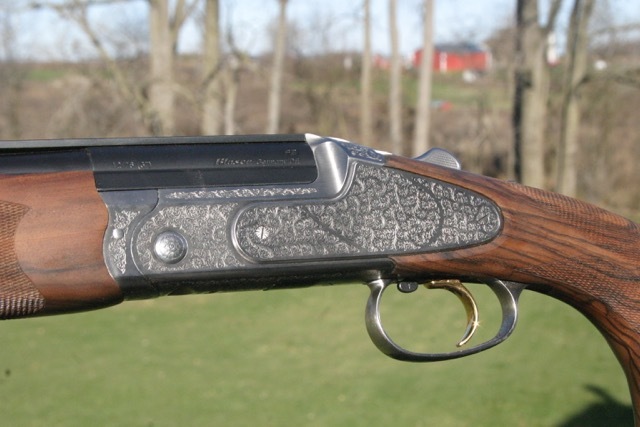 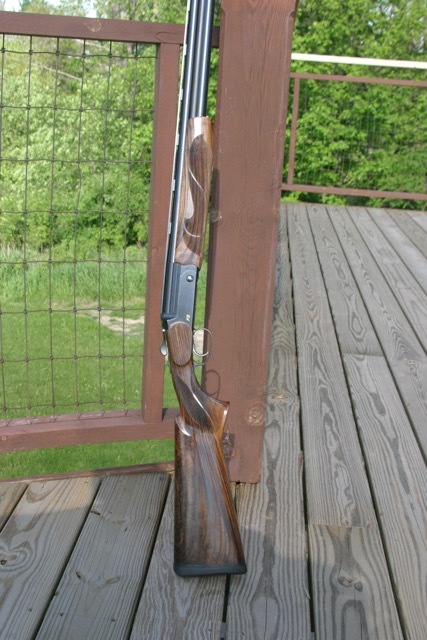 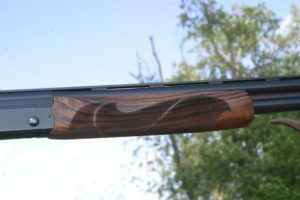 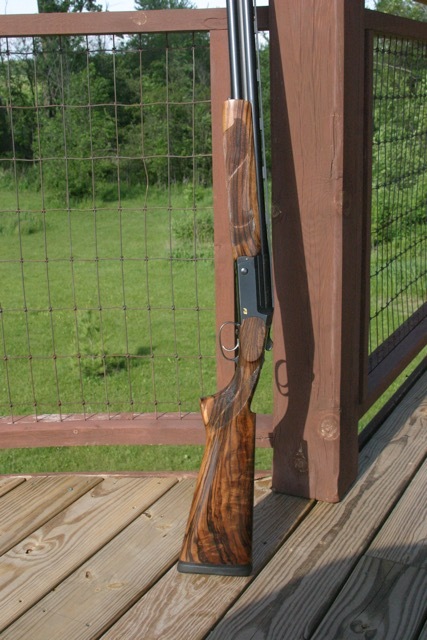 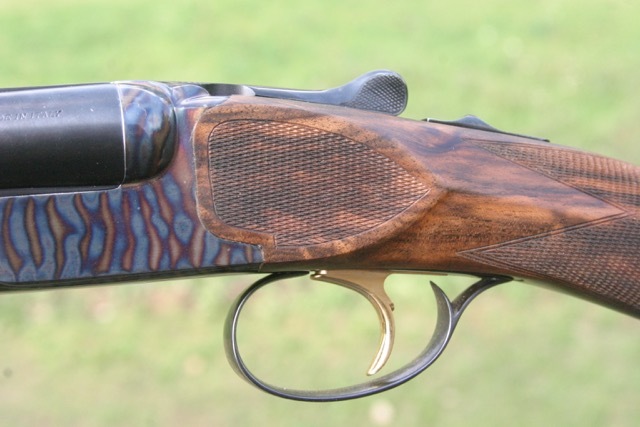 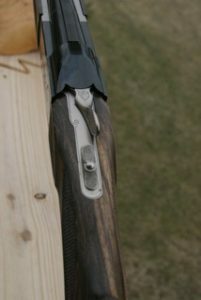 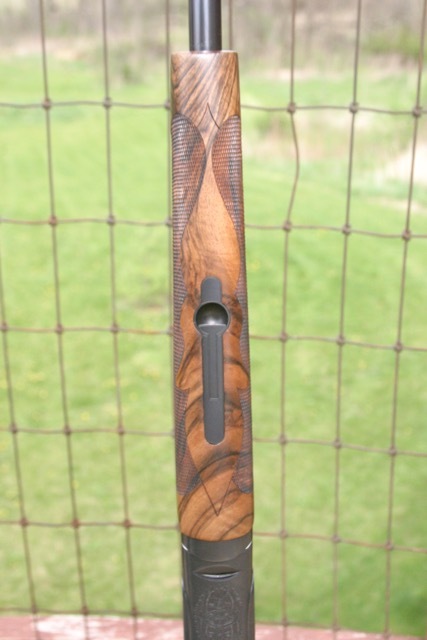 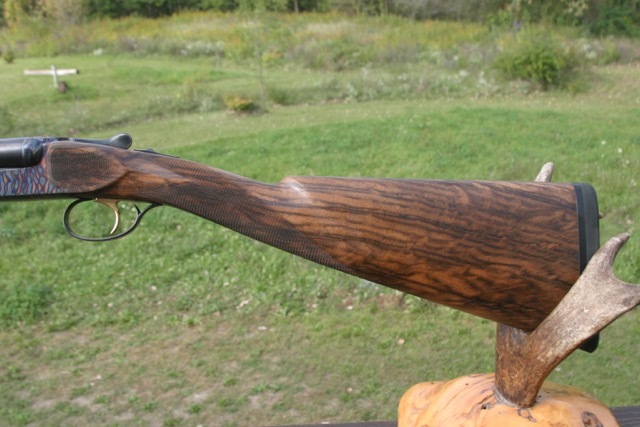 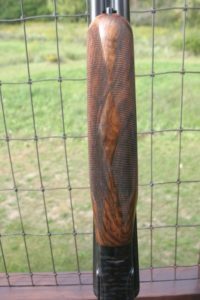 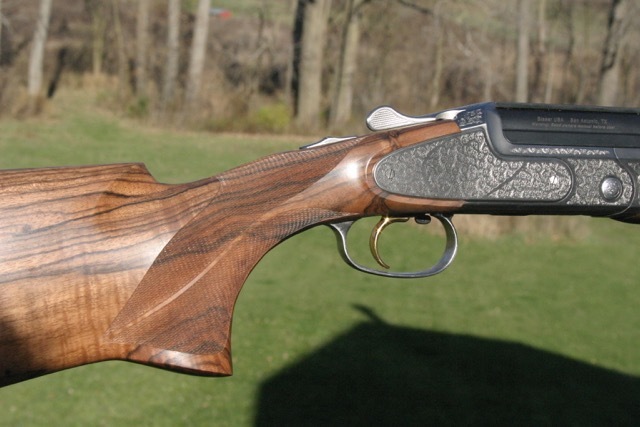 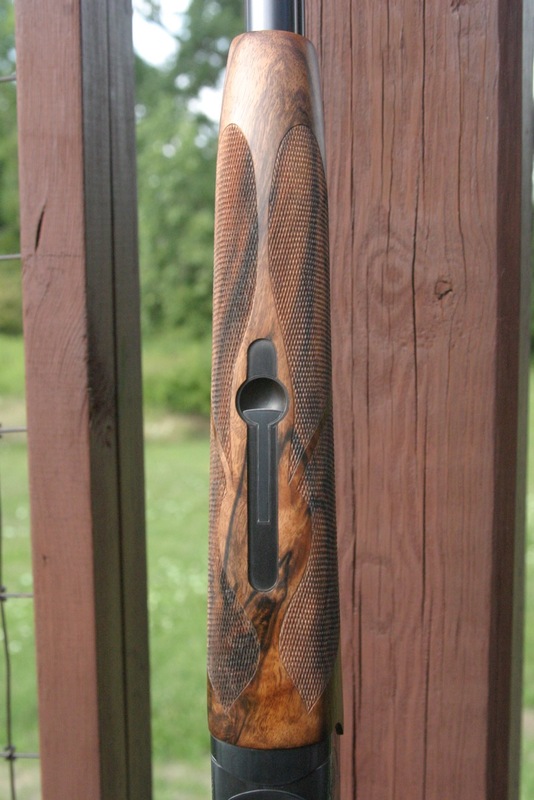 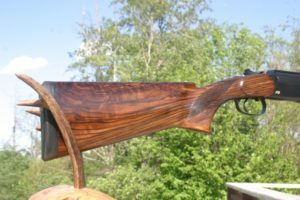 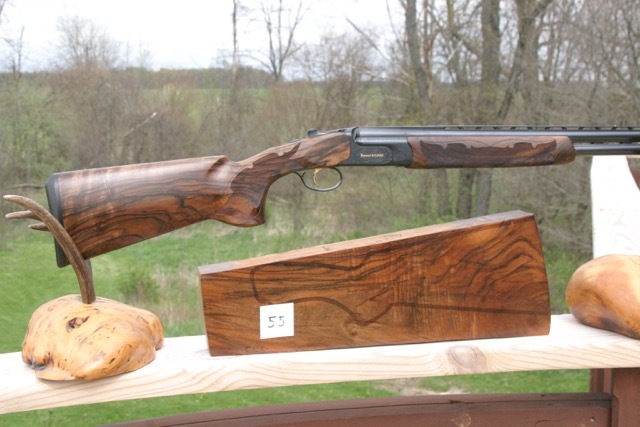 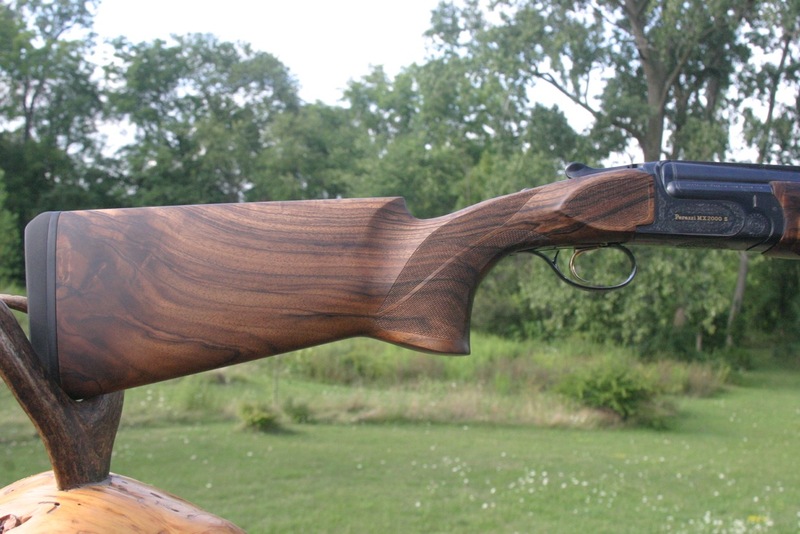 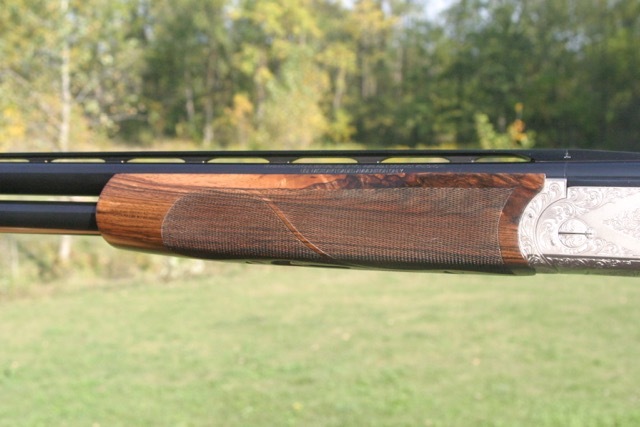 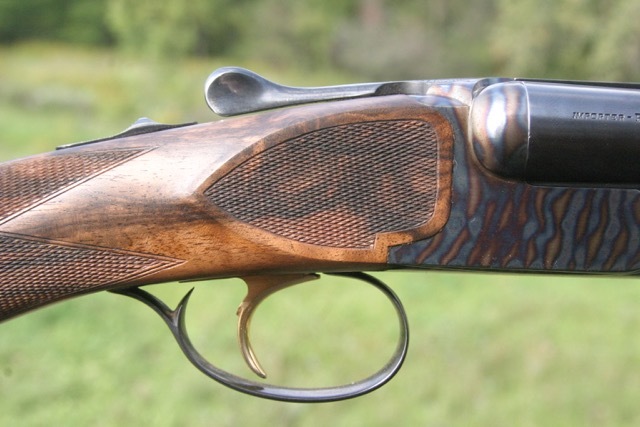 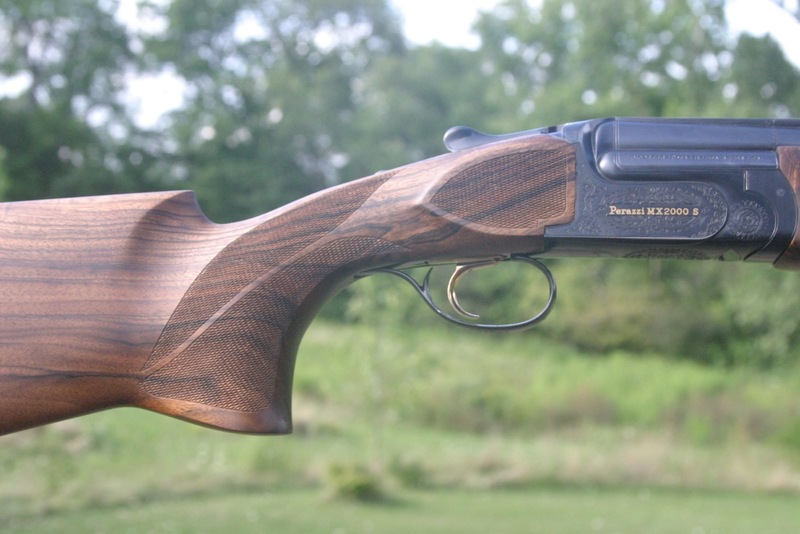 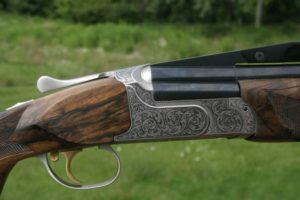 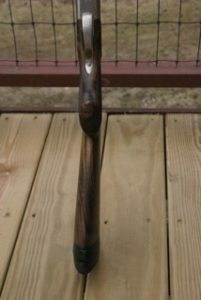 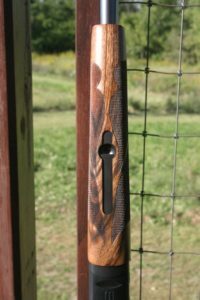 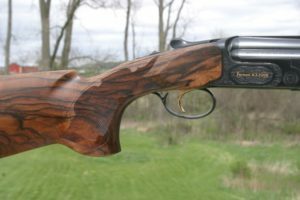 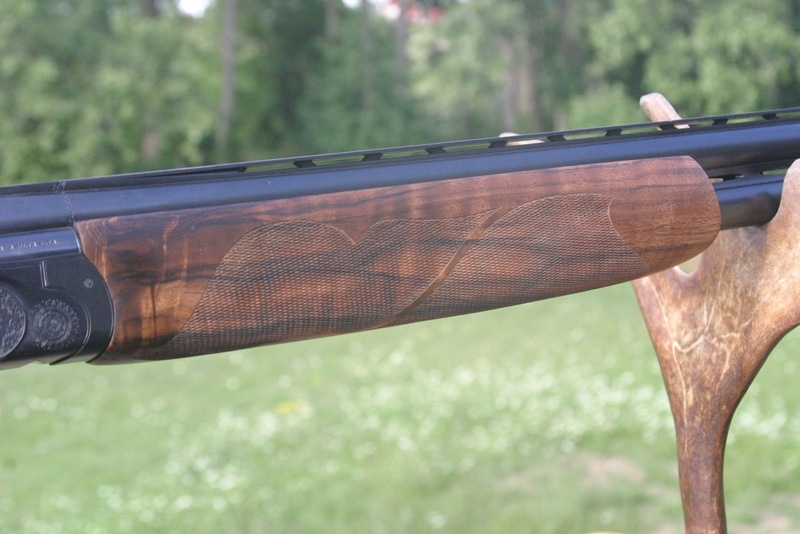 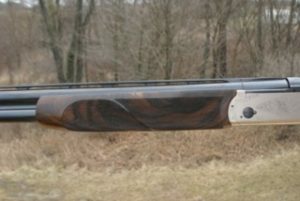 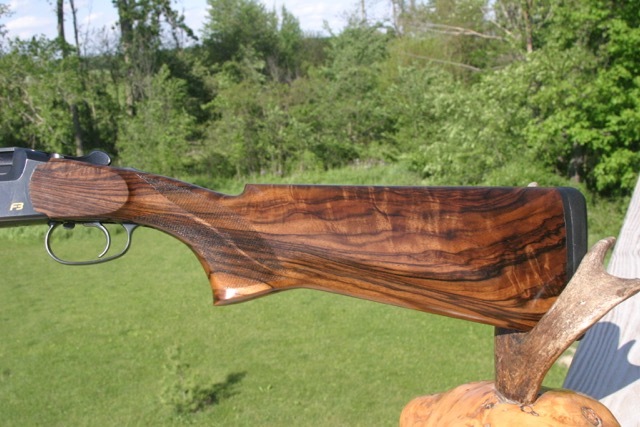 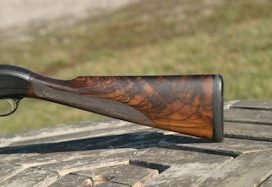 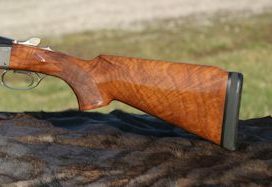 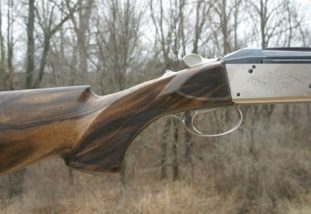 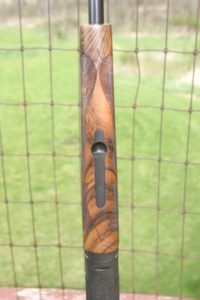 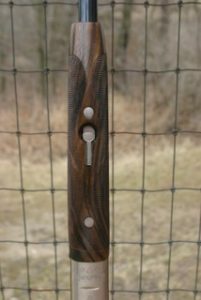 This is my sporting clays gun for 20 Guage FITASC competition. 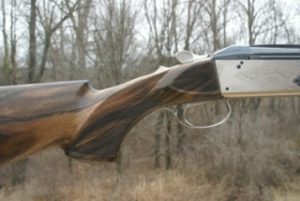 I will have it at the 2017 U.S. FITASC Grand Prix / Kolar Arms Classic, June 19/25 2017 at the Bald Mountain Shooting Range. 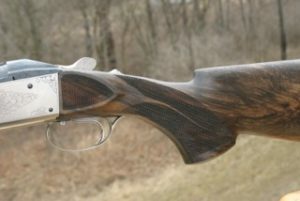 3.25 lbs per trigger fixed, no selector 7.75 lbs. 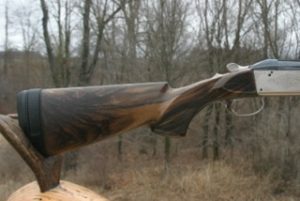 Brown truck just rolled away. 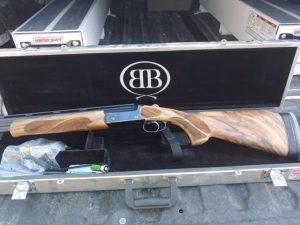 Tore box open like 10 year old at Christmas. 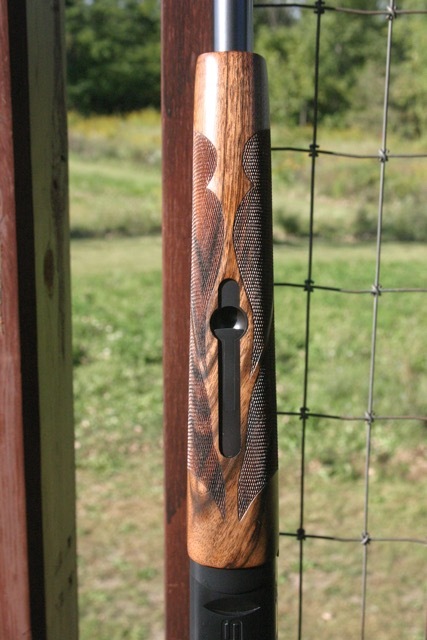 Words can not express how beautiful. 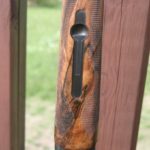 Wood to metal fit is unbelievable! 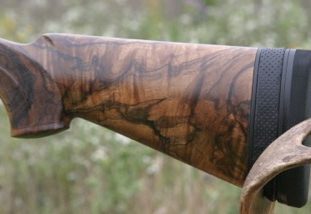 It is a genuine pleasure to work with a Pro & an ARTIST!